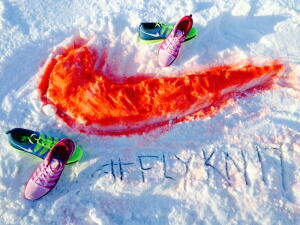 This running shoe is Nike's entry into the lightweight high cushioned neutral running shoe. 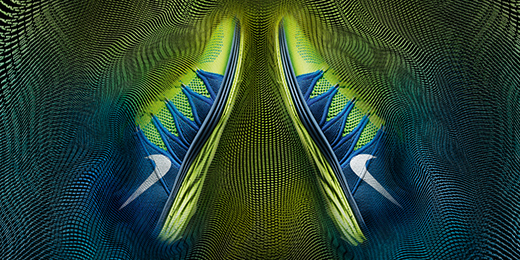 An ultra light one piece Flyknit upper provides a comfortable and supportive wrap, while the Lunarlon cushion provides a soft, but responsive ride. Subtle tweaks were made to the upper, like attaching the tongue on both sides to enhance the comfortable wrap, and adding a two-toned color scheme. The major changes are found on the midsole and outsole. In the midsole diamond shaped cuts are made throughout to enhance flexibility. On the outsole, a pressure map of lugs, molded blades, and flex grooves promote an efficient, natural range of motion through the toe-off phase. This is the same design as the Nike LunarEclipse4. Come in to Fleet Feet Sports Madison to see if this is the running shoe for you!